After my frame-relay router died I decided to do something about it so i replaced all my routers with GNS3 and connected them to my real switches (3550’s and 3560) by using a breakout switch. This works perfectly! 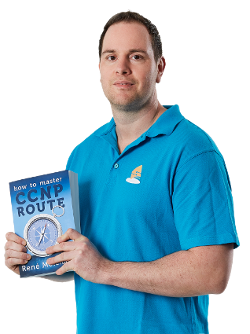 I’m not using any physical router anymore Next week i’ll show you what it looks like now and what you need to do to connect your GNS3 routers to your switches. So far I never missed/used or required CDP so the 3550 is fine, no limitations. I’d like to include switches in my GNS3 lab too. Do you think 4 x WS-C3560-8PC-S are enough? I mean, are more than 8 ports per switch needed? Does this smaller switch have the same commands of the bigger one? I believe the commands are the same as the big ones. You can use them but if you want to use them for CCIE i’d get the bigger ones. I’m using the INE topology and there are 4 switches, each switch has 3 links to all other switches so that’s 9 links in total…and there’s 2-3 interfaces connecting routers per switch. I’m using 2x 3550 (those are cheap) and 2x 3560 (1x 3560 is fine as well…just need it for private vlans and QOS). If you have a spare 3750 that’s nice, but I think it’s a bit overkill just for the ‘breakout switch’. I’ve only worked with the INE material but it’s probably fine for the other material as well. The 3650 has different QOS than a 3550, and on the 3550 there’s no support for private vlans. That’s all.. Rack rental is probably cheaper than buying all your own equipment. I like the idea however of being able to play with my own stuff when/where I want 🙂 Besides I can use it for teaching as well. I was thinking about putting 3570 as a breakout sw due to CDP. Is there a need in CDP in any lab? does everything else works fine except the CDP? and another question what is cheaper and better home lap with gns and switched or a rack rental? Another question regarding topology, will it be fine for all of them, INE, 360, netmaaterclass, to have 3×3550 and 1×3560? But you didn’t aswer if there is any need in the labs for the cdp. I mean if using 3550 as a breakout switch can limit me? lol, it hurts my eyes just seeing it, but yet again iv seen much, Much Worst!!! For those of you who are using the GNS3 / Real Switch combo, has it worked out great for you? Instead of buying all real gear, I am thinking about just trying the GNS3 Virtual router / physical switch setup… Thoughts? If you use GNS3 for the complete CCIE lab you’ll be in trouble because the switching support is drama. 2x 3560 + 2x 3550…3x quad NIC and a machine running GNS3. Ok, cool. That’s what i’ll do then :). I saw that you are using INE as well… Have you run into any problems in the workbooks that you couldn’t perform a task because you were using the 3550s? Yes the QoS is different on the 3560 compared to the 3550. Private VLANs are only supported on the 3560 and not on the 3550. 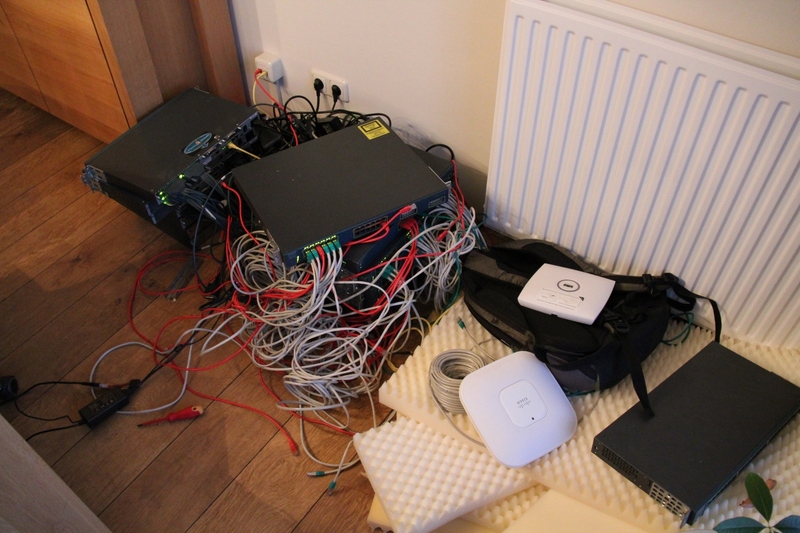 I started with some old 2621XM routers but got sick because of cabling and they didn’t support MPLS. This is the best solution for me so far! 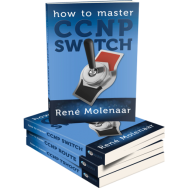 I’m going to purchase your books and challenge CCIE. Do you still recommend following combination of the switches? Your post was more than 2 years ago and I want to make sure that I buy best switches for your lab. If you have any recommended combination, please advise. The 3550 is just a cost effective way to do the vast majority of things for the blueprint. Given CCIEv5 is out, and Rene and I both passed v4, I am not 100% sure if 3550s will be good anymore given potentially new switching features on the blueprint. I would recommend you check out the newest blueprint and compare it to v4, annotating any different switch features. It’s HIGHLY likely that 3550 will still meet 95% of your needs though.